Futaba RC Det finns 17 produkter. Futabas 2-kanals 2.4GHz FHSS Computerrattradio med 10 modellminnen för bil och båt. 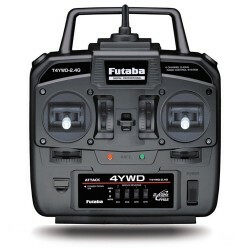 The 4YWD is a 2.4GHz version of Futaba 4VWD for tractor truck and/or tank. 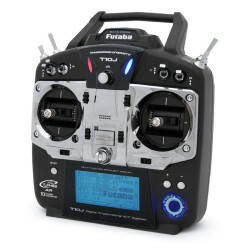 The favorable functions are remained the same, but it has Futaba 2.4GHz FHSS system. 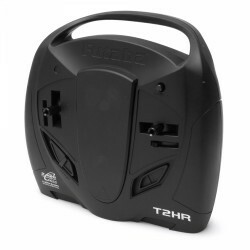 Receiver R214GFE that is best much for 4YWD has a built-in antenna. It relieves you a troublesome handling of antenna. Futaba kvalitet, FHSS teknologi och ett ekonomoiskt pris gör 4YF 2.4GHz FHSS radion till ett utmärkt val för kostmedvetna som önskar ett strörningsfritt spead spectrum system för sportflygning. T14SG har allt och lite till! 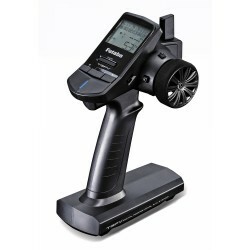 2.4GHz kompatibel med FASSTest™, FASST™ & S-FHSS - dvs man kan använda nästan alla 2.4GHz mottagare från Futaba. I FASSTest lägen kan man även sända och ta emot telemetridata. Sensorerna till detta säljes separat och ansluts via S.BUS2 uttaget på R7008SB. 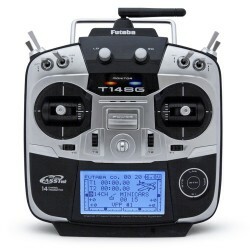 The potential offered by an 18-channel Futaba system is probably more than enough to make long-time fliers want to buy one. However, the 18MZ also offers the latest and best chapter in Futaba's 2.4GHz developments: new FASSTest technology with Telemetry functions. Futaba feels something special for 2 channel radio. Because we have the invisible pressure that the radio might be the first one for the user. 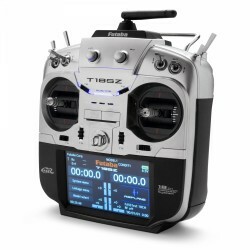 The 2HR is equipped with a proven Futaba 2.4GHz FHSS radio system. 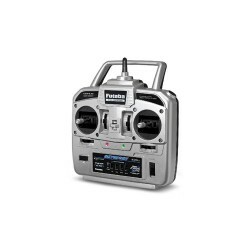 The ergonomically designed case features a built-in carrying handle and an antenna that can be removed for safekeeping. New 4 channel T-FHSS telemetry stick radio for R/C cars and boats. 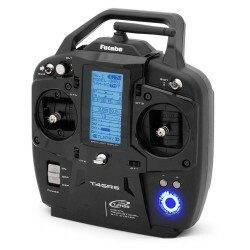 It's based on the T4PLS (wheel) radio so it has all functions that a racer would need.